Forty years back, the School of Business at a prestigious university in India made a big mistake. They awarded me a degree in Business Management. They were so very happy to see me off the campus that they even awarded a silver medal to me. I owe this book to my professors – some of whom taught so well that I learnt a lot. Others taught so poorly that I had to study some subjects on my own. So, I developed extra interest in such subjects! I also owe this book to my bosses, colleagues and subordinates. Some of them were as tough as nails. They were a terror and kept me awake most nights. Others were tough but deceptively soft and sweet on the outside. Some were so systematic that I dreaded any of my difficult targets getting entered into their bulky diaries. Once the entry was there, reminders after reminders kept pouring in, keeping me forever on my toes. Some were so chaotic in their working that I was often roped in to assist them. The creative juices sloshing about within me bear the full responsibility for this book to have come about. It was an inner urge to share my learning with managers and executives of all sizes, stature and shapes that made me start compiling my observations. The result is this book. So, the book you will have with you soon enough is like a management summary of a part of the life I have led for around forty years, practising as well as observing the science and art of management. As a senior manager with Tatas, the largest and the most respected business group in India, as also in several other companies which are large corporates and single owner driven outfits, I have seen delightful facets of management. One has had personal as well as professional relations with individuals and corporates in several countries in Europe. Portugal is an important member of the European Union. The fact that most management lessons are universal in nature also helped. Sacking an employee in Timbuktu is as difficult as an employee in Germany of UK. Motivating a team member could be as challenging in India as in Portugal. Yes, the social context is different. The economy may be chugging along in a different manner. But the art of getting work done has universal principles. When your boss calls you, looks you in the eye, and asks you to go and sell a refrigerator to someone on the North Pole, you know you are in serious trouble. Further, if he flatters you by saying that you are the only one who can do it, you realize you are being handed a pink slip. I also happen to be one of the Founding Members of CEO World, an innovative start-up in Portugal. One of the services it offers to CEOs world over is that of engagement with their peers in diverse businesses and continents; Peer Groups which are virtual in nature and work on video conferencing basis. The challenges faced by CEOs get shared in an open manner, without any competitive risks, in an atmosphere of mutual trust and complete confidence. This broadens the vistas of managerial wisdom of all the participants and improves the capacity of a CEO to face challenges better. The messages you would find in this book are serious, their packaging is not. The idea is to make you chuckle and see if there is any solution to the present challenges that you face. The book does not offer any problem-solving guarantees. If you do make the mistake of owning a copy, ensure that your boss or your girlfriend are not able to lay their hands on it. If you do not find anything of use here, simply gift it to someone you hate. This is how you can lay your hands on it. Here is yet another heart-warming post from the stable of Plumtopia. The right medicine for those of us who suffer from Wodehousitis and are worried about post-February decline in the severity of their affliction. To get a sense of Archibald’s style, have a look at this excellent instructional video from Professor Thomas F. DeFrantz (Duke University). One can readily imagine how a dash of buck-and-wing might have impaired Archibald’s success off the tee. If you’ve not yet read the story and don’t want to know how it ends, you may wish to buzz off at this point and read it. You can find a free e:text version available via Project Gutenberg . The song “Ae neele gagan ke tale, dharti ka pyar pale….” from the Hindi movie Humraz is a favourite of mine. Here is a great tribute to the singer, Mahendra Kapoor. Under them, attrition rates are invariably high. Those who are good at their jobs and have a shared sense of ethics and values do well in their teams. Those who are either sloppy or believe themselves to be more pragmatic in life seek greener pastures – either in other business units or in other organizations. Many would struggle, perhaps in vain, not to land up in a lunatic asylum. Those who have worked for such CEOs for some time appreciate the relevance of Albert Einstein’s Theory of Relativity in their careers. Four years of slogging under them sounds like ten years! Those in Finance and Audit simply love them. But those who handle HR, public relations and liaison hate them. If an Industrial Relations dispute has to be resolved by means which may not be entirely ethical, or if speed money needs to be dished out to secure a government contract or approval, hierarchy has to be ignored and someone senior has to be kept in the loop. Dubious acts and expenses get covered up subtly. There are times when this creates a bipolar culture in the organization – islands of excellence separated by vast lakes of mediocrity. Overall efficiency of the organization takes a hit. Employees often spend more time twiddling their thumbs trying to figure out as to what information needs to be successfully kept hidden from the boss. This is the breed which takes a proprietary interest in the affairs of business. 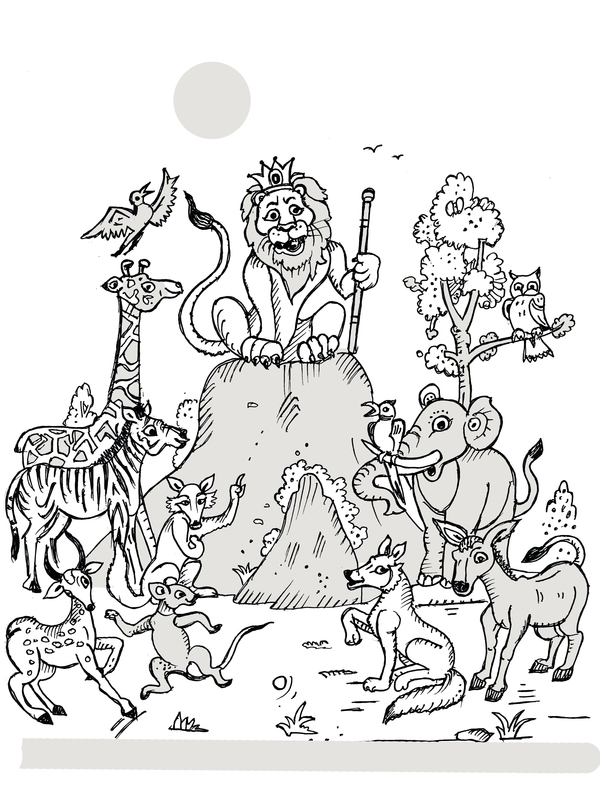 They roam around the remotest corners of a business empire, much like a lion would supervise its territory. They are the lords and masters of all that they survey. Ticking off peers comes easy to them. Managements are often clueless about handling them. Despite strong undercurrents of revolt, they get tolerated and survive. The reason is not far to seek: they deliver. Moreover, they are incorruptible and have a great sense of values and ethics. 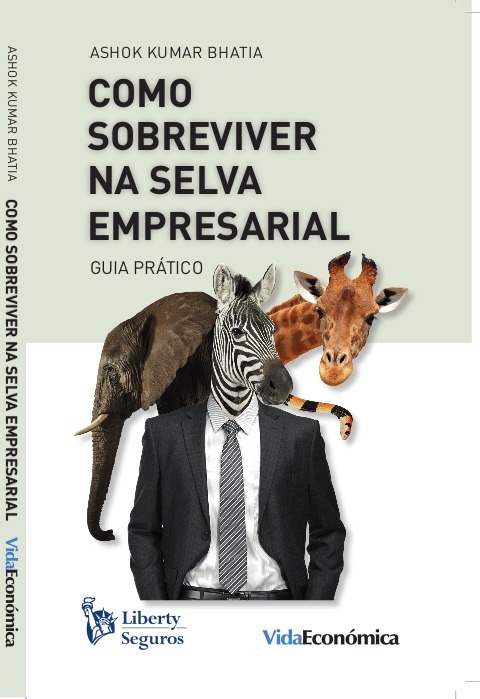 They are blue blooded intra-preneurs and make great project managers. They happen to be great assets especially when a new project is being set up. Once the project becomes operational, though, managements would be inclined to move them to another one. Or, find them a suitably elevated silo, where they could work with a smaller team on a different set of Key Result Areas. A historic discovery announced recently confirms what Albert Einstein predicted almost a century back – the existence of gravitational waves. Here is an interesting post that you might enjoy! The rozzers in the service of the Crown are not expected to resolve the kind of crimes which might make the Scotland Yard sit up and take notice. 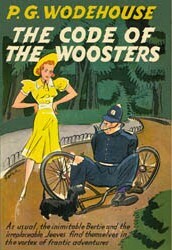 When pitted against the inimitable Jeeves, the hapless rozzers have a slim chance of cracking a case. Even if they happen to do so, their paths are strewn with Justices of Peace who have ideas of their own. Despite facing such odds as belligerent Justices of Peace, getting their helmets pinched, getting thrown into ditches by ferocious members of the canine species, and getting coshed by people of superior intellect, they persevere. They continue to regale us with their exploits. Their integrity is indeed praiseworthy. Come rain or sunshine, they perform their duties with utmost dedication. When on duty, ham sandwiches do not distract them. Derby is not of much interest to them. Public display of affection embarrasses them. Unauthorized use of a bicycle provided for by the Crown is construed as an insult to Her Majesty, the Queen. However, beneath their tough exterior beats a soft heart which is as romantic as that of any lesser mortal. Their romantic methods may vary. Some, when under the influence of a spiritual transformation, could end up planting burning kisses on the upturned faces of their beloveds in the presence of several others. Others may try to hold out threats of a violent nature to those they believe to be snakes in the grass, anxious to win over the affections of their beloveds. Even though Cupid’s arrows sway them somewhat at times, they try their best to maintain a mechanical impersonality, discharging their obligations with a malleable steely resolve. Here are some romantic liaisons of the guardians of peace we come across in Plumsville. In The Mating Season, we get introduced to constable Ernest Dobbs who is a sleepless guardian of the peace at King’s Deverill. His face looks as if it has been carved out of some hard kind of wood by a sculptor who had studied at a correspondence school and had never progressed beyond lesson three. In the discharge of his duties he does not hesitate to arrest dogs like Sam Goldwyn who lose no opportunity of sniping at him and are a menace to society in general. Just before he can catch Gussie Fink-Nottle who has set Sam free from custody, Jeeves coshes him, making him feel as if he has been struck by a thunderbolt. This somehow changes his spiritual outlook on life. When he comes calling later at Deverill Hall on an unpleasant errand – to arrest Gussie who is impersonating as Bertie – he first asks Rev. Sidney Pirbright if he can start singing in the village choir. In turn this leads to the romantic rift between him and the beautiful parlour maid Queenie getting healed. A kissing scene follows, and the cop is quick to apologize for his naked display of emotion. He then proceeds to decline a sandwich or two, because he believes that when a policeman is on an unpleasant errand, he is expected to lay off the vitamins. Esmond Haddock, the Justice of Peace, points out the slender evidence he has against the alleged accused. He allows himself to be dismissed without a stain on his character. Once off duty, he promptly proceeds to the kitchen, so as to resume his romantic parley with Queenie. 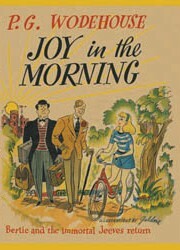 Joy in the Morning has Stilton Cheesewright playing the vigilant guardian of the peace. He is not one of our eight-hour slumberers. He is always up and doing, working while others sleep. He believes that Bertie is out to outmaneuver him when it comes to winning the affections of the star male-reformer Florence Craye. Bertie is accused of pinching his uniform so as to be able to participate in a fancy dress ball. Uncle Percy, the Justice of Peace, needs Bertie’s support in standing up to his formidable spouse (Aunt Agatha, who else!) to provide an alibi for him to have spent a night away from his living quarters at Steeple Bumpleigh. Jeeves lays the blame instead at the doorstep of Master Edwin who has a motive in Bertie taking the rap. Uncle Percy refuses to sign the warrant against Bertie. In fact, he goes a step further in ticking off the cop. He laments a deplorable spirit creeping into the Force – that of forgetting their sacred obligations and bringing up wild and irresponsible accusations in a selfish desire to secure promotion. 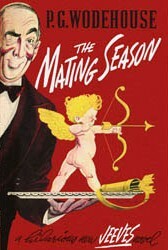 This revolting exhibition of fraud and skullduggery makes Stilton decide to resign from the Force, thereby restoring the romantic relations between him and Florence. As a result, Bertie yet again escapes the prospect of a saunter down the aisle and returns to the metropolis a free bird. Stilton goes on to pursue a career in politics. We get introduced to constable Ernest Simms in The Girl in Blue. His is a 16-stone personality, calculated to strike terror into the hearts of evildoers. He is tasked with maintaining law and peace at Mellingham-in-the-Vale. Here Ernest Simms paused and seemed to choke, as if, man of chilled steel though he was, his feelings had become too much for him. Chippendale eventually blackmails Crispin into agreeing to push the constable into a brook while he is dabbling his hot feet after the day’s duty. Crispin’s spirit fails and Barney Clayborne, the alleged kleptomaniac, does it for him. Providence has it that she is fashioned on more substantial lines! Barney, as she returned from the scene of her waterside activities, was filled with the glow which comes from work well done. If, mingled with a pardonable self-satisfaction, there was a pang of womanly pity for the victim of those activities, it was only slight, for a man, she reasoned, who joins the police force must be aware that he is going to get new experiences and that these cannot all be agreeable. And, after all, a wet constable can soon be converted into a dry constable. Time the great healer, she felt, would see to it that Officer Simms would ere long be himself again. It only needed some brisk work with bath towels. The constable does make a charge against Chippendale but is outmaneuvered by him and Crispin. Crispin’s property blues soon get resolved and Chippendale leaves the scene after being handed a pink slip. Nothing more is heard of the romance between the constable and the young one. One can only hope that it blossomed in the times to come. Being in charge of an area where the residents assault nothing but pianos, and steal nothing but ideas, closes all avenues of promotion for a young and ambitious constable. The spell of calmness and intellectualism gets broken on the day the cook is falsely accused of stealing some money and a brooch. The earnest officer of the law aims at a machine-like impersonality and escorts his beloved to the police station. A rendezvous of hers with Alf Brooks comes unstuck and the milkman, noticing that Ellen had been pinched, walks away with unseeing eyes, much like a complete stranger. The constable offers to let Ellen go free, saying he would explain the matter at the station. Ellen, feeling jilted by the milkman, realizes that the constable is offering something which would not only get him dismissed from the Force but also probably earn him a sentence. Her questioning ends up making the constable to profess his love for her. The offer to her to walk away free gets repeated, but Ellen is made of sterner stuff. What is thirty days, if, when she comes out, she finds a pal waiting for her to say “Hallo”?! 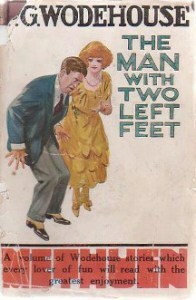 (The Romance of an ugly policeman: The Man with Two Left Feet). 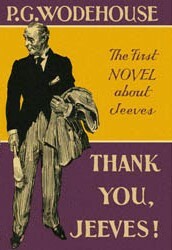 In the climax scene of Thank You, Jeeves, Sergeant Voules ventures to arrest Sir Roderick for trying to break into Bertie’s garage, and it is crucial to obtain the nerve specialist’s testimony that Mr. Stoker’s uncle, from whom he is supposed to inherit some fifty million dollars, is of a sound mind. If he is imprisoned, his testimony shall not carry much weight. That would mean Mr. Stoker not being able to buy Chuffnell Hall, thereby endangering the romance between Lord Chuffnell and Pauline Stoker. Jeeves suggests that Bertie switch places with Sir Roderick, as he could hardly be charged with breaking into his own garage. Apparently, the sergeant is in love with a parlour maid and can be readily persuaded to leave his place of vigilance for a piping hot breakfast to be brought for him in the bushes at some distance. This would facilitate the switch. 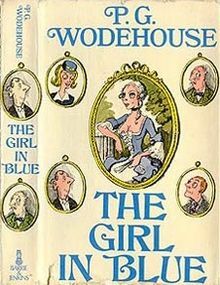 The plan succeeds; Chuffy’s financial problems are resolved when Stoker agrees to buy the Hall from him; he and Pauline are to be wed; and Jeeves, who has a policy of never working in the household of a married gentleman, returns to Bertie’s employ. The officers of law are tough guardians of peace. But this is not to say that they lack a tender heart beneath their tough exterior. In fact, we find heart-warming evidence that the members of the delicately nurtured tribe do impart a great degree of malleability to their otherwise steely resolve. A public display of emotions comes naturally. A change in career plans gets considered. It hurts to be called a fuzz and a Gestapo by the party of the other part. Offers of letting an alleged criminal hop off get made, even if these involve dismissal and likely imprisonment. When invited to a rendezvous with the beloved, they are apt to lower their guard and facilitate an exchange of prisoners in potting sheds. Their superiors might look askance at such instances of dereliction of duty. Disciplinary action may get initiated. But when it comes to a performance evaluation at the hands of Saint Valentine, they deserve to be ranked rather high.